LYON, FRANCE, April 23, 2018 /insPRESS/ – Active on the Canadian Property & Casualty market for over 10 years, the APRIL group continues to export its expertise abroad via the acquisition of Benecaid, a managing general underwriter and third party administrator specialising in group health insurance for VSEs – one of the group’s core areas of expertise. APRIL acquired a 93% equity interest in Benecaid. The company’s management team, which remains unchanged, holds the remaining 7%. The transaction was financed with the group’s cash. Emmanuel Morandini, APRIL group CEO, made the following comments: “By acquiring Benecaid, the group is continuing its expansion in a growing and priority business line for APRIL. Canada is already one of the main contributing countries to our gross margin outside France; we are boosting our positioning there thanks to a profitable company recognised for the quality of its expertise, and which complements our existing activities. This transaction is fully in line with our sustainable growth strategy, combining a local foothold in health insurance with the global expansion of our expertise”. In 2018, APRIL—the international insurance services group and leading wholesale broker in France—will be celebrating its 30th anniversary. And at 30 years young, APRIL still has many more years to offer to simplify the lives of its customers and partners—be they individuals, professionals and businesses—in the 31 countries where the group operates. 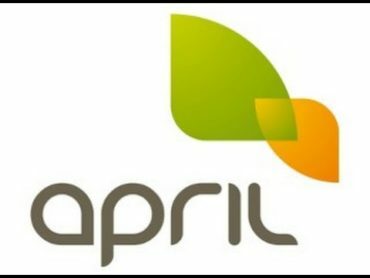 On their behalf, APRIL’s 3,800 employees design, manage and distribute specialist insurance solutions (health and personal protection, mortgage, property and casualty, mobility and legal protection) as well as insurance services, capitalising on its experience to make insurance easier and more accessible to as many customers as possible.